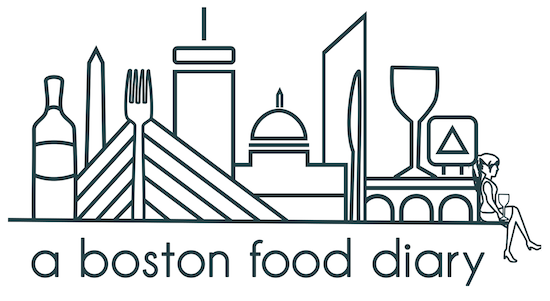 A Boston Food Diary: Ribera y Rueda: Si What's Next Tour Hits Boston This Week! Ribera y Rueda: Si What's Next Tour Hits Boston This Week! A few months ago I introduced you all to the great new partnership of Ribera del Duero and Rueda wines. The regions, joined in this partnership under the name of Ribera y Rueda produce intricately unique wines, concentrating mainly in Tempranillo and Verdejo. Both of these wines are perfect for the hot summer months as they pair easily with lighter style foods and the all important BBQ. Verdejo, grown mainly in the Rueda region, may be one of the most perfect summer sippers. High in acid, light in body, it projects elegance and refinement. These wines are often very fruit forward with strong notes of peaches and nectarines with subtle hints of citrus. Easy to sip on its own, and perfect to pair with lighter styles salads and seafood dishes, this is a perfect accompaniment for any summer gathering. you find it on it's own, more often playing a supporting role to Garnacha. I am loving that Ribera del Duero is finally allowing this grape to shine on its own. Rich in color, powerful tannins and high acidity makes this wine complex. 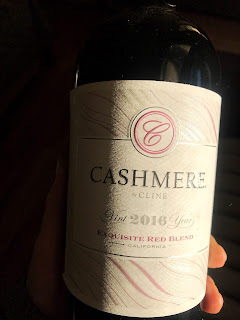 Full of flavors of dark fruits and plums with hints of smoke, I love pairing this wine with grilled meats and veggies. incredible wines and two of my favorite items- cheese and donuts. I expanded the palate to include a few other fun items- namely a highly citrus based Gazpacho full of light summer vegetables, spiced with Serrano chili peppers and enhanced with cilantro, and the ultimate summer food - boiled local lobsters. We downed the Gazpacho, which I topped with the wonderfully crumbly and salty Cotija cheese and the lobsters with a bottle of the 2014 Circe, a truly wonderful Verdejo. Light in body, high acid with very gentle sweetness it was a perfect compliment to the slight heat of the Gazpacho. It also worked really nicely with the lobster providing bright acidity to contrast the decadence of the rich lobster meat and the totally necessary melted butter dip. fun one to pair. Taleggio, a semi soft, usually cow's milk cheese with a washed rind, is the go to. Taleggio has wonderful nutty and citrus notes that pair beautifully with the dark fruits and meatiness of the Tempranillo. Both of the Tempranillo's, the Celeste Crianza 2012 and the Heritage 2011, paired very with the Taleggio. The Crianza was in the perfect state of aging- showing still bright fresh fruit notes, but also starting to show mellower flavors of mocha. Medium + in body, and with great acidity and round tannins this was a beautiful wine. The Heritage showed a bit more of a tartness on the palate, stronger vibes with the sour cherry and cranberry notes. It's acidity was slightly higher and definitely held a bit more of a punch than its counterpart. When paired with the Taleggio it brought out more of the citrus notes and worked well into a mouthwatering combination. Robiola topped with shaved black truffles, an aged Manchego and a Crayeuse. Robiola is one of my favorite cheeses simply because its fascinating. I insist that if you pick this up - you must get a fresh milk version. Robiola is a soft cheese and its flavors are purely determined by what the animal feasted on prior to milking, hence why the fresh milk portion is necessary. The flavors can change by the season for this reason which makes it a fun cheese to check in on year round. The decadent addition of truffles here brought a touch of mushroom earthiness to the otherwise tangy cheese. Crayeuse is another cows milk cheese but this one is aged in stages- first quickly so the exterior portion is soft almost to runny and then slowly so the interior remains somewhat chalky. The combination keeps the palate entertained. Manchego was the only hard cheese I got to mix things up a bit. Manchego is nutty and sometimes a bit gamey, a great stray from the citrus notes of the previous three cheeses. Combining the Manchego with the Heritage was fantastic as it brought out more of the undertones of the wine, cutting past the tart fruit piece. Cheddar Sage- yes you read that right- Bacon. Cheddar. Sage. Now you may not picture wine with donuts- I assume most of us pair coffee with those clouds of heaven, but let me tell you- this is a good pairing. Follow the same rules as you would for any food/wine pairing - and match flavor components. The light fruity flavors of Verdejo pair perfectly with the bright strawberry flavor of that glaze. The deeper flavors of the chocolate or the savory sage, bacon and cheddar worked perfectly with the Tempranillo's even helping to temper the tannins down with the decadence that is a donut. If you want to experience all this for yourself, Ribera y Rueda is cruising around this summer in their own food truck and invite you to "Si What's Next" at the Taste of Cambridge tomorrow night, Tuesday, July 14th from 5:30 pm to 8:30 pm, and will be at Bauer Wine and Spirits on July 15th, from 4:00 pm to 8 pm EST doing tastings as well. 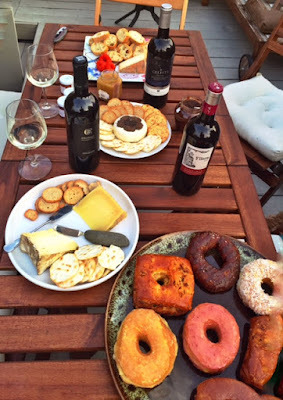 Whether you can make it out to one of those locations or not, the Ribera y Rueda wines are perfect for your summer gathers whether your hosting a clam bake, relaxing at a barbecue or munching on some donuts with friends! What an incredible meal! My mouth is watering and I want to try all that cheese!